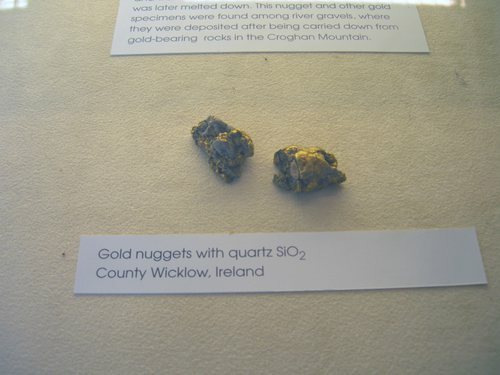 In 1796, gold was accidentally discovered in the Ballinvalley (since called the Gold Mines River), a tributary of the River Aughrim. 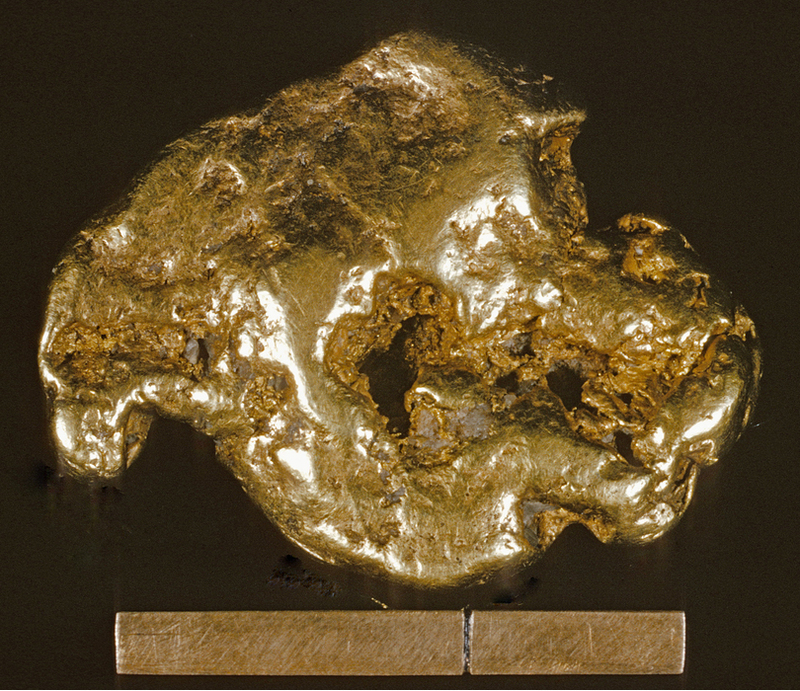 The find soon became public and the neighbourhood crowded with gold seekers. Eventually, the government interfered and commissioned Mrs. Weaver, Mills and King to conduct systematic operations, which were carried on until 1798 when the works were destroyed during the rebellion. In 1801, the stream works were re-opened but soon became unproductive and were abandoned in 1802. Occasional small specks of gold can still be panned to this day - if you can get down to the stream. It is densely overgrown, fly-infested, and in the middle of a forest. 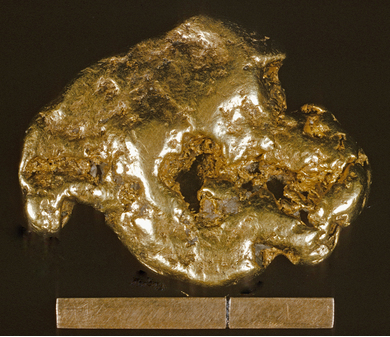 Back in its heyday, the river produced a very large quantity of alluvial gold and a huge 22oz nugget of gold! S Mayo trough; S Connemara Group; SW Curlew Mountains; Tyrone; Longford-Down massif; Ribband Group; Tagoat Group; Duncannon Grp. Henwood, W.J. 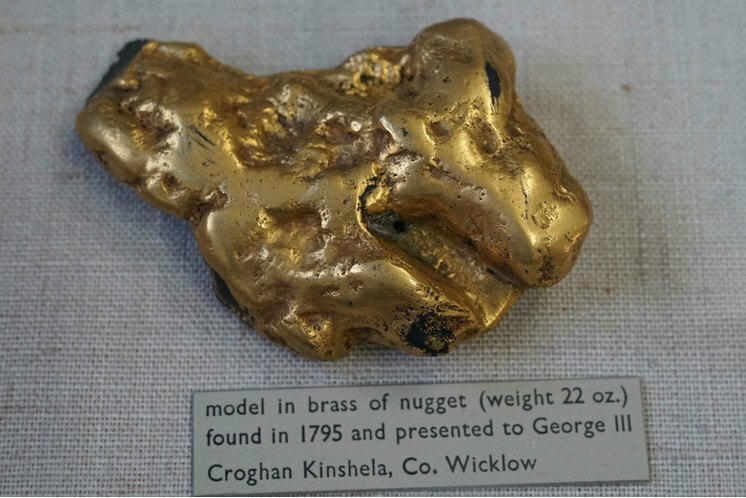 (1871) Observations on Metalliferous Deposits: On the Detrital Gold of Wicklow. Transactions of the Royal Geological Society of Cornwall 8(1), 627-634. Doughty, P.S., Clark, A.M. and Jones, G. C. (1982) Irish Naturalists J. 20, 490-491.